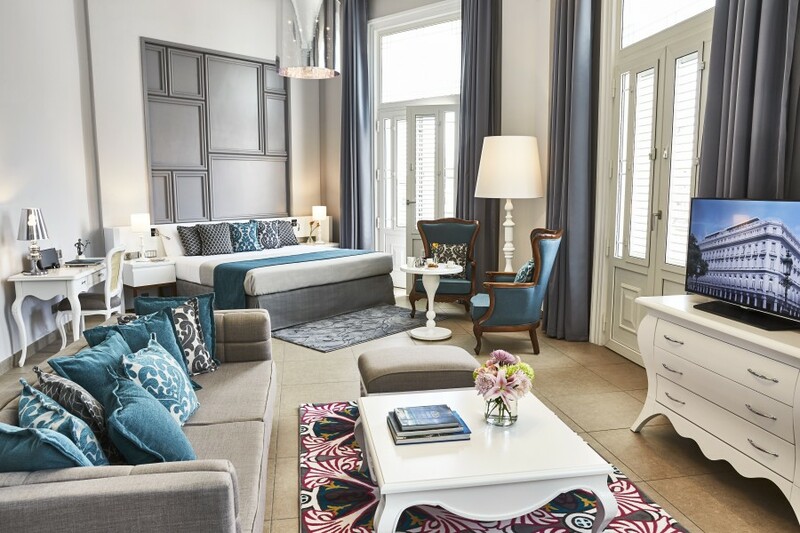 Standing proudly in the heart of old Havana almost within touching distance of the Capitol, Gran Hotel Manzana Kempinski is a symbol of how Cuba’s past and future stand side by side. In 2019 Havana celebrates its 500 year anniversary, a tumultuous journey of strife, love and music that has shaped this nation. But at its heart, a proud people that are passionate about their city. 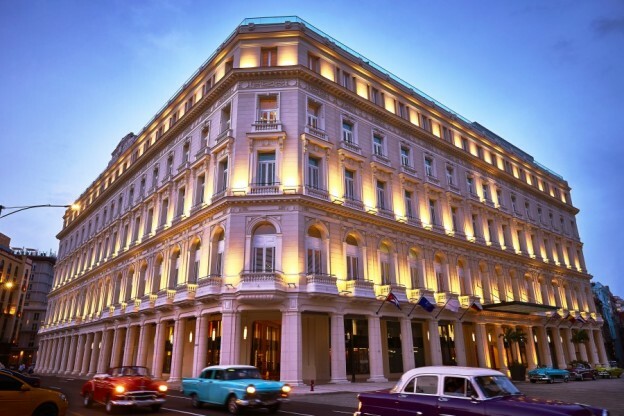 There is a wind of change happening in Havana with opportunity beckoning for visionaries who can adapt and innovate and the Manzana Kempinski is a perfect example. This former 19th-century shopping arcade, once fancy but faded over time, has been reborn as a five-star jewel of a hotel. 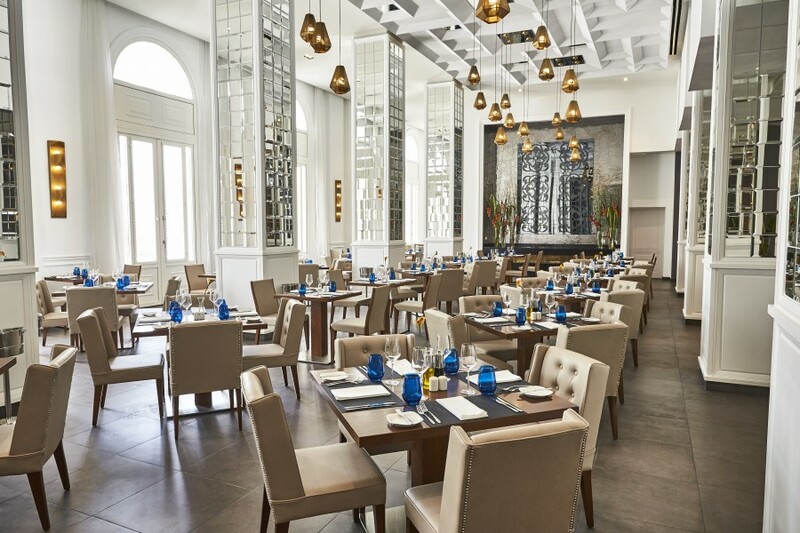 From its lavish marble lobby to its coveted rooftop pool and restaurant offering bird’s eye views of this iconic city, the Manzana Kempinski reflects the new face of high-end Havana. It’s a spectacle from the moment I walk in. 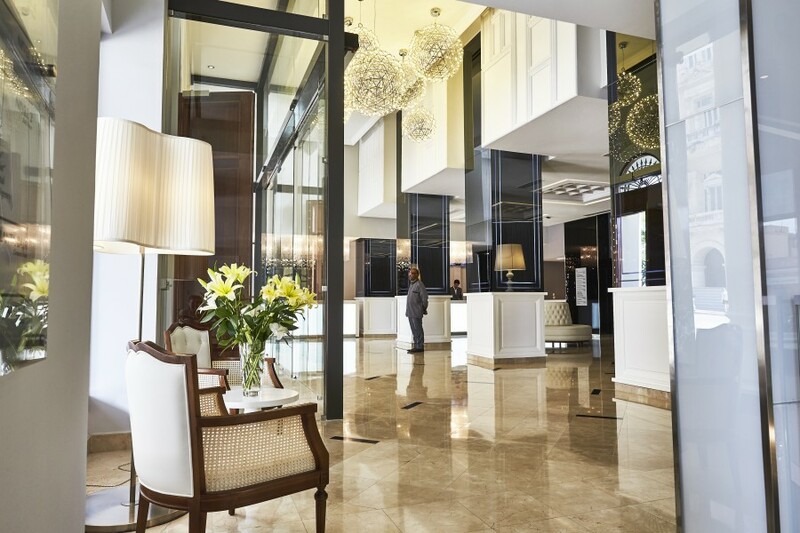 Magnificent art adorns the floors and walls; the elevators silently whisk towards the heavens – their transparent cages providing windows to the world below, while strains of Cuban rhythms emanate from a live band in the Constante Bar. But perhaps my most memorable first impression is my Lady in Red. And she does; giving me a personal tour of my impressive room. Five-metre high ceiling, a pastel grey pallet set off with bougainvillaea pink and purple fabrics, brilliant white furniture and a giant flat screen that revolves from the king bed to the lounge area. She opens the French doors and proudly announces “the view across the square and Hemingway’s La Floridita bar!” I can only imagine how many daiquiri’s senor Hemingway downed over there. Back downstairs the band in the Constante Bar is going full throng and I sit at a cosy balcony table enjoying the gentle breeze, sipping smooth Havana Club rum and getting lost in the rhythms. Hemingway would have been so proud. The new day dawns hot and steamy as I enjoy a breakfast feast in Confluencias fit for presidents. A vast spread of edible treasures in a room bedecked like a spacious white summer terrace with towering pillars and gold lamps. It’s a buffet spread fit for a luxury European Kempinski, not something I would have expected in Cuba. It’s a very welcome surprise. 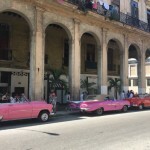 A day exploring Havana’s old town brings more cheer; a memorable experience of beautiful architecture, classic American 50s cars and proud locals who simply celebrate living through their music. 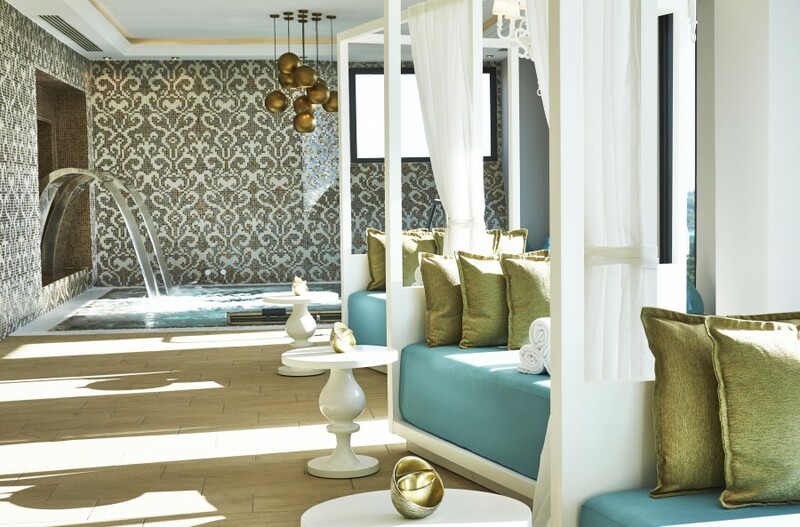 I return to the warm embrace of the Kempinski and with a nod to my Lady in Red on duty at her lobby station, make for the rooftop infinity pool and bar. Up here the breeze is perfect, the view astounding and the cool water very welcome. A cool DJ is playing some soft tunes and I watch the sun slowly sink on another Havana day adorned across a comfy sunbed sipping yet another Havana Club. Suffering from a memorable night of Cuban hospitality I make my way into Confluencias for another breakfast feast. I pass by my waiter from yesterday who greets me with “Morning sir. Eggs like yesterday? Medium poached on toast and a strong coffee with milk?” What a great way to start a day. Sharing the rooftop space with the pool is the Spa by Resense. Perhaps it because we’re nearer to heaven, but I sense something very spiritual in here. My body clearly senses relaxation as I feel both my yin and my yang balancing themselves in readiness. There are therapies for every facet of your being here with the added benefit of a hair salon to complete the look. Although my aching feet yearn for a touch of TLC I take to the gym instead and enjoy 90 minutes of endorphin inducing exercise enjoying the feeling of lording it over the rooftops of Havana. 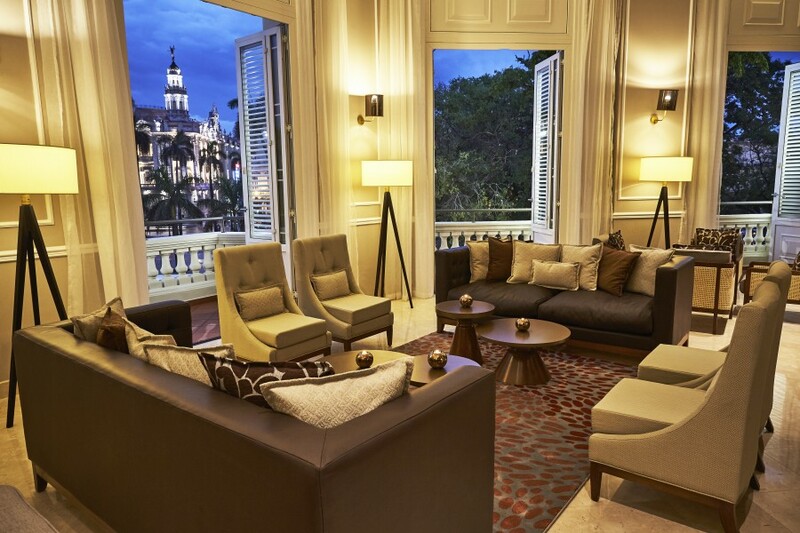 The Gran Hotel Manzana Kempinski is the blueprint for the future of luxury hospitality in Cuba. This is what will bring high-end visitors to an island that fully deserves their custom. 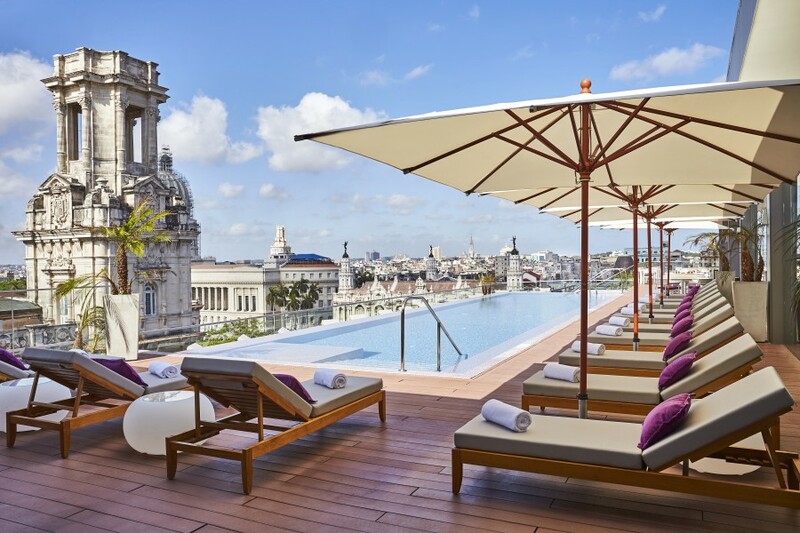 With Havana’s 500-year celebrations waiting to erupt in 2019, this Kempinski can quite proudly stand alongside the city’s heritage as a benchmark for luxury living. 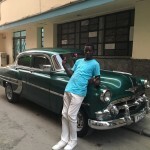 Tell me more about the Gran Hotel Manzana Kempinski in Havana. Gran Hotel Manzana Kempinski, Calle San Rafael (entre Monserrate y Zulueta), La Habana Vieja 10100 Havana Cuba. 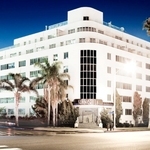 Rooms from $465 per night. For detailed itineraries across Cuba, it is always best to use experienced tour operators such as Cuba Direct who can book flights, accommodation and tours and assist with a Cuban tourist visa.